Other Ellen and I went to Tucson AZ last week to a national Garden Writers Symposium, tours of public and private gardens, lectures about the newest plants and newest media, networking. 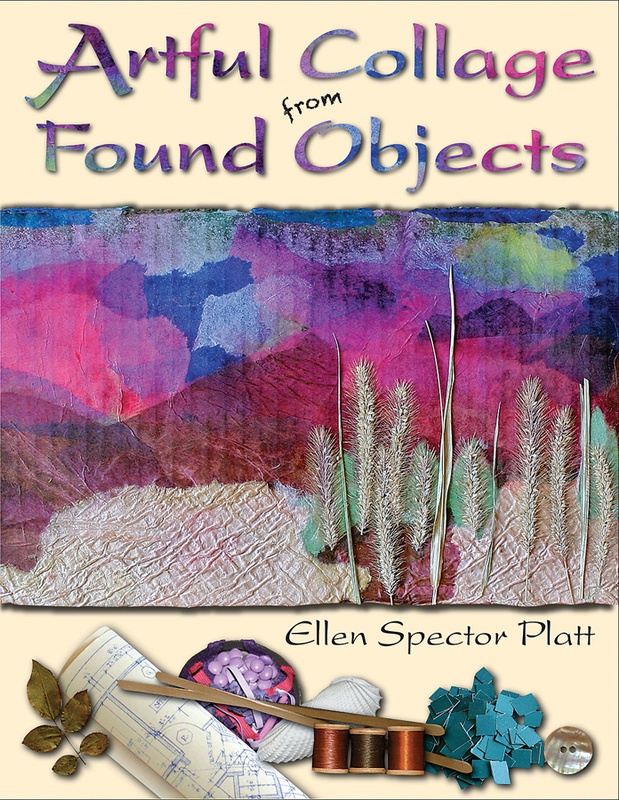 I showed my new book, "Artful Collage from Found Objects", in the Trade Show and found columnists, bloggers, radio and TV hosts who promised to spread my fame, if not fortune. As luck would have it my book has a desert-inspired cover, albeit with dried green foxtail weeds, not cacti. 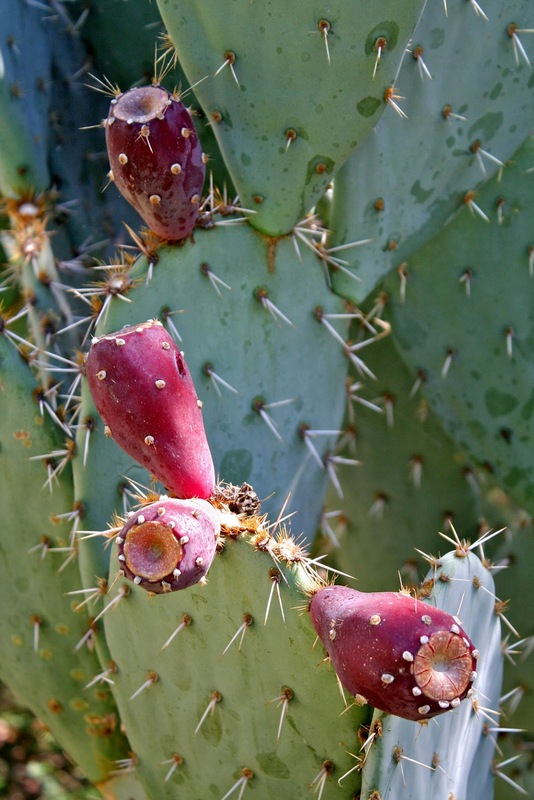 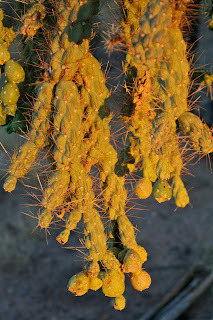 Three Tucson garden hosts fed us lemonade made with prickly pear cactus fruit, all made much too sweet for my taste. 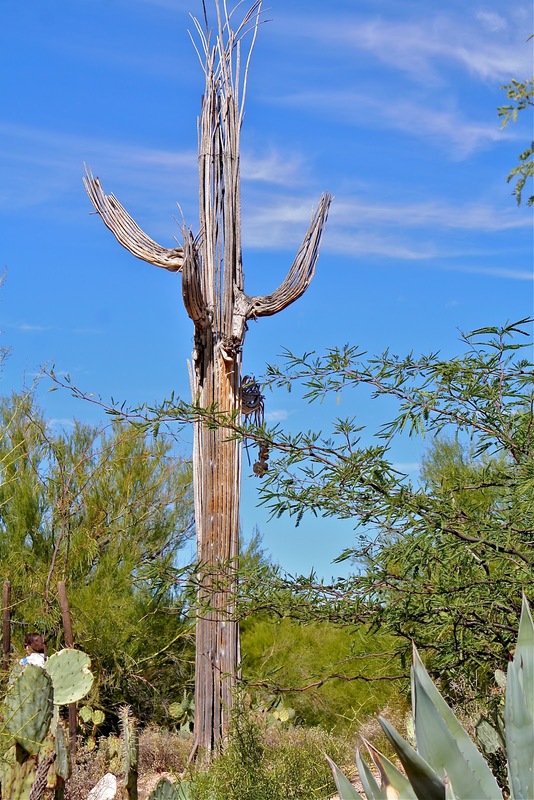 We were too late for bloom in the Sonoran Desert but saw remnants of other fruits like that of the fishhook barrel cactus. 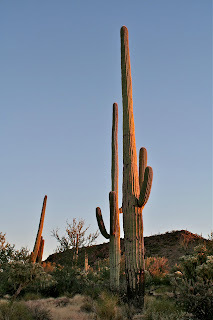 And as the sun set in the West, Other Ellen and I cut our afternoon lectures and drove with two other writer/photographers to the fabulous Saguaro National Park where we learned that cactus spines not only protect a plant from animals but offer some shade and shield it from drying winds. 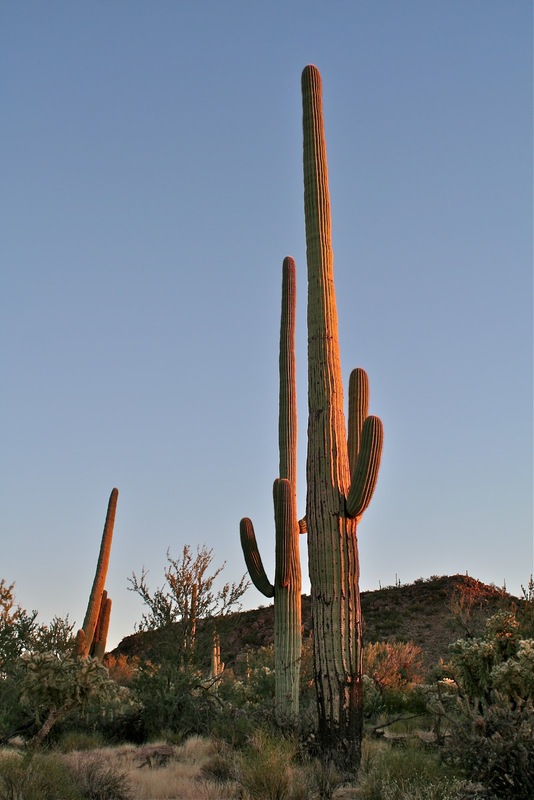 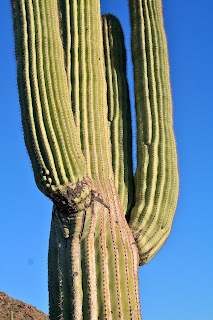 The saguaro cactus, icon of old Westerns, may be 75 years old before it sprouts an 'arm' and lives 175-200 years. 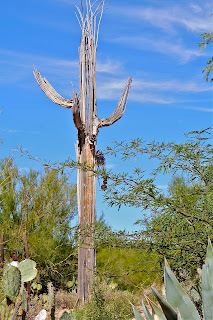 When it dies, the woody ribs inside were used by the local Tohono O'odham tribe for building shelters and fences.